October 28, 2017 - SOLD OUT! Ziva's sire is FC AFC Small Craft Advisory (Rough) and her dam is Our Sweet Honey of Silverbrook (Honey). 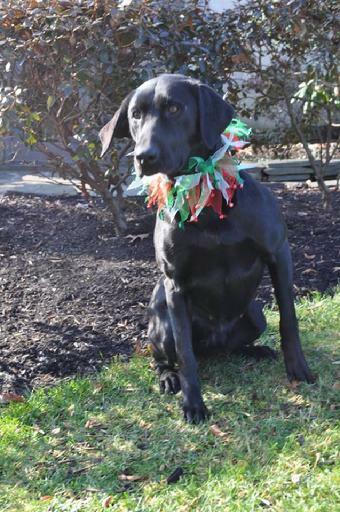 Ziva came to us from Churn Creek Retrievers in Worton, Maryland. Ziva is a high rolling fireball in the field. She is a great marker and wants to work constantly. She saw field work last year for geese and duck hunting and did outstanding. 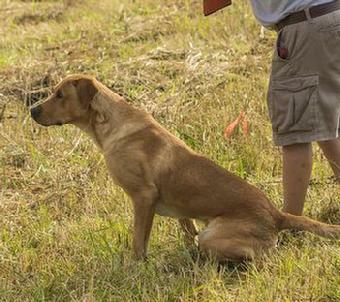 Ziva earned her Junior Hunt Title in 2012 and Senior Hunt Title in 2013. As of 8-13-14, Ziva has 2 Master passes. She has become a full-time hunting companion. Reggie is a well structured, handsome, dark yellow (fox red) male. He is very birdy and loves to work in the field, but can turn it off and be a wonderful family member. Reggie is an excellent marker and runs blinds flawlessly. D & S Retrievers was fortunate to have Reggie since he was 6 months old for a serious training program. Reggie has his junior & senior hunt test titles and is on his way to a master title with 2 passes so far. Reggie is owned by Joe & Donna Schneider in Mt. Bethel, PA.
Dew claws will be removed. Pups will be wormed at 3, 5 & 7 weeks of age, and will receive their 6 week vaccines and be vet checked and certified healthy by Dr. Sam Yoder of Silver Maple Veterinary Clinic. Born and raised in our home....well socialized. Ready for new homes December 17/18, 2017. Quality Labs for your Home and the Hunt!